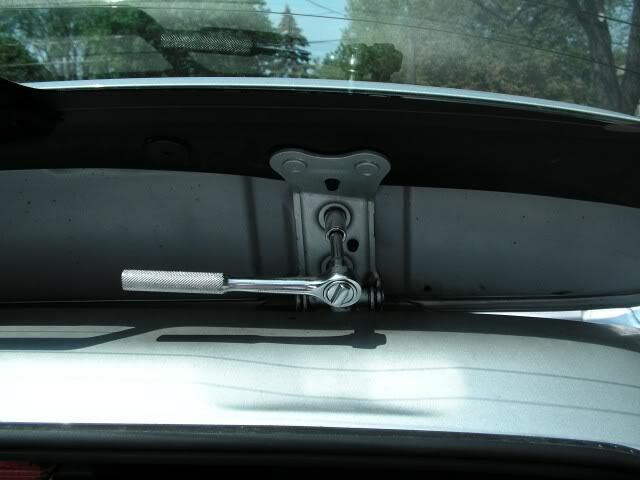 4.Using plyers pinch black plastic insert, and push outwards. 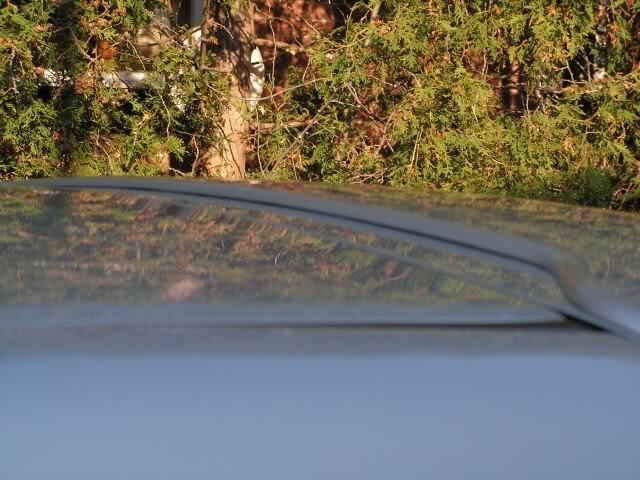 However you will notice that the rear spoiler will not come off. 5. 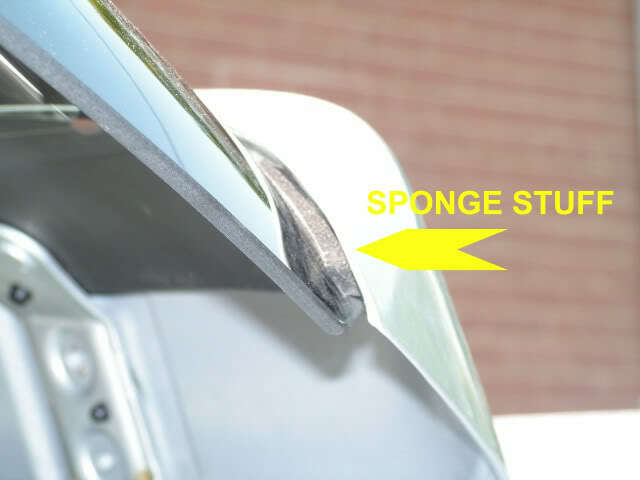 Using a blade (plastic one would be better), cut off “foamy rubber at both ends of the glass. 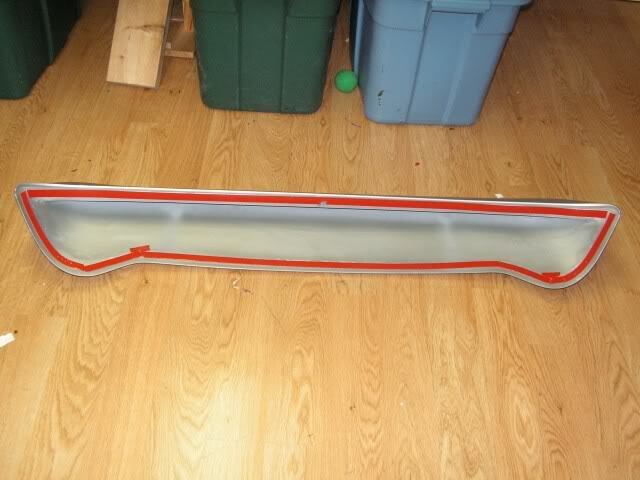 Also, and this will take time and effort, cut into ~5 inches (horizontal) of gluey 3M tape located just below the nozzle. 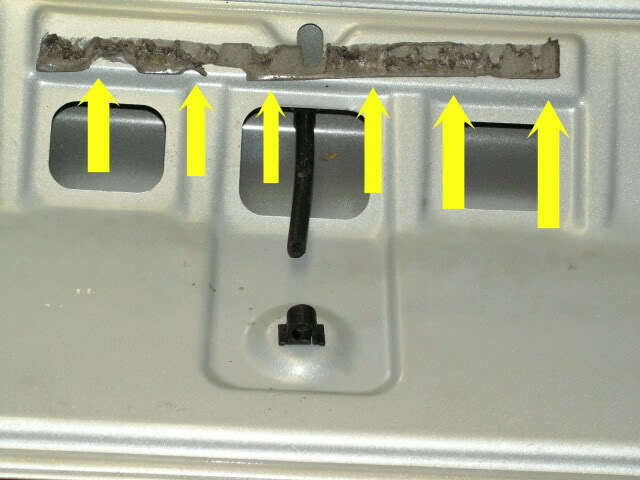 Eventually, while remembering to push back on those black plastic inserts, the cover will come off. and this is the 3M tape (center tape) that is hard to remove. 8. 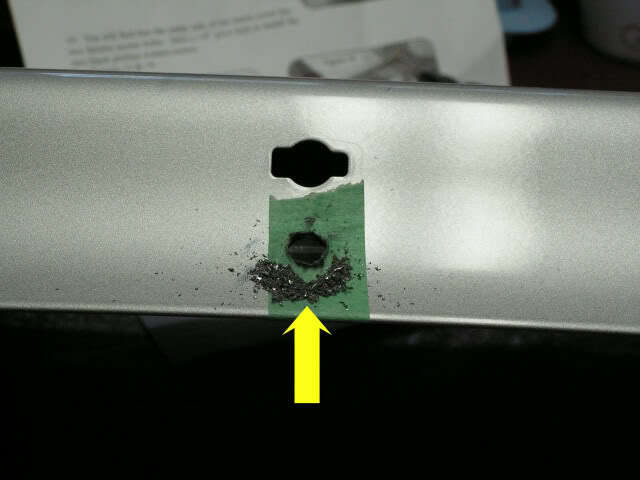 This is where the 3M tape is located. Try to remove it (clean up). 9. 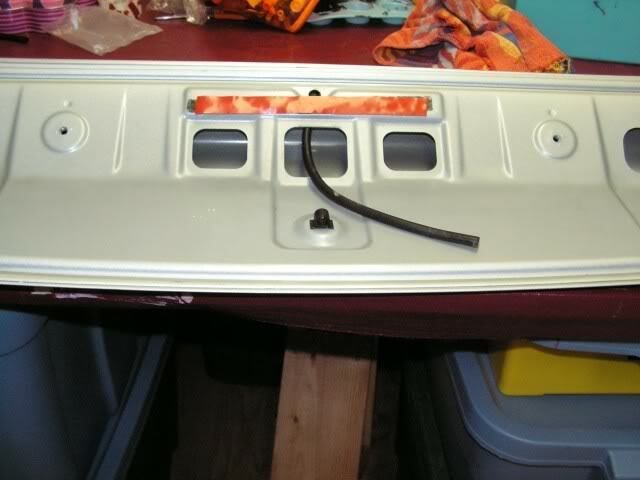 After removing the washer nozzle (using plyers on the inside panel), you will need to drill a new nozzle hole. 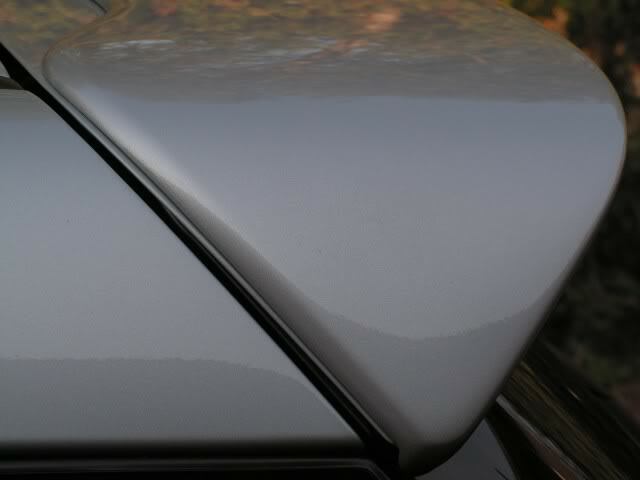 I don’t recommend using the ATS provided template, but rather determine the hole using the ATS spoiler and your spoiler (your best fit). 10. 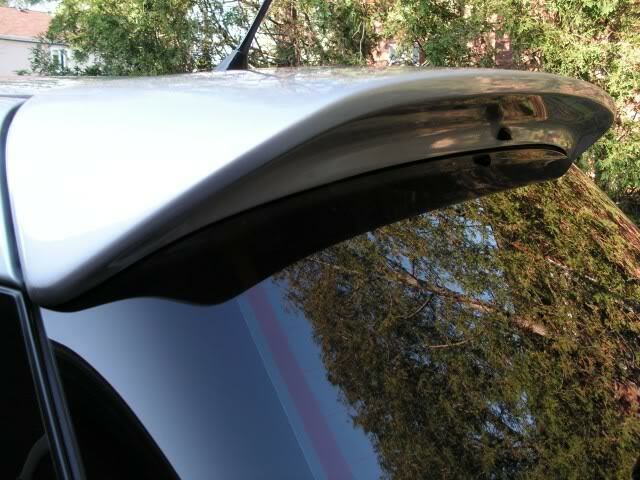 Use a cleaner around the perimeter of the ATS Spoiler prior to applying the 3M tape. 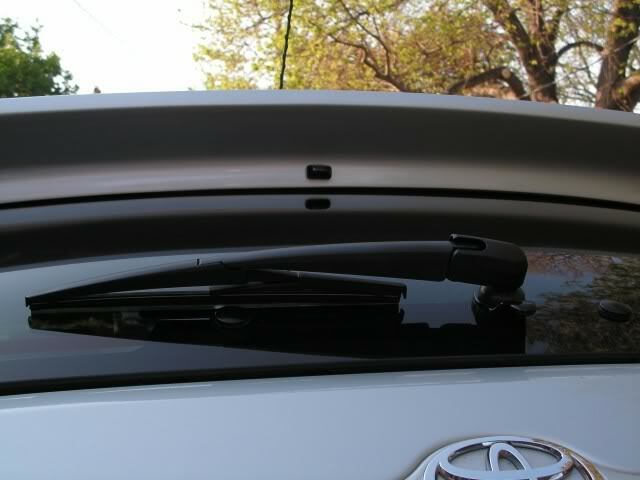 Place the tape on the new spoiler behind the ridge (about 3/4″ from the edge), if not it will leave a bigger gap. 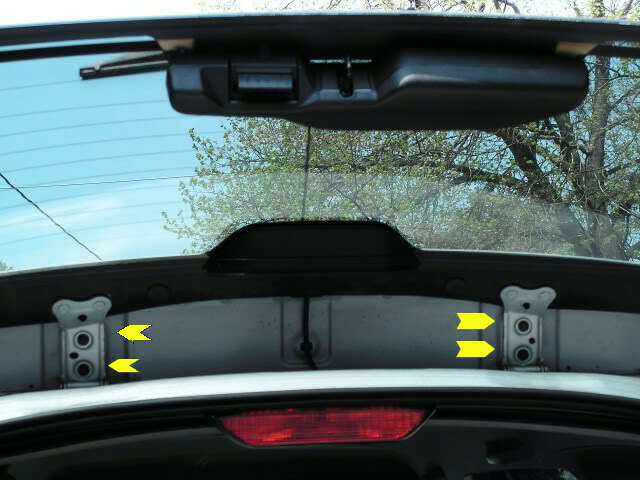 Also leave some space on both ends (bottom end when installed on the car) of the spoiler, so that water (if ever trapped inside) can flow out. 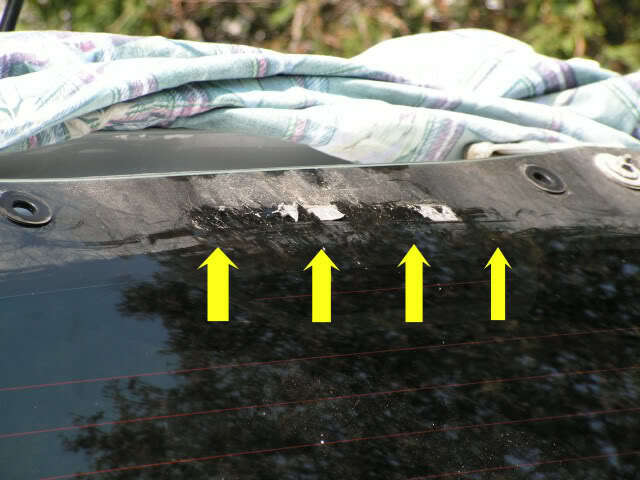 11.Before removing the red protective 3M tape, keep trying to place the old spoiler on top of the new ATS spoiler (this is where a comfortable work surface is appreciated). You only get one chance so take all the time you need to practice this procedure. 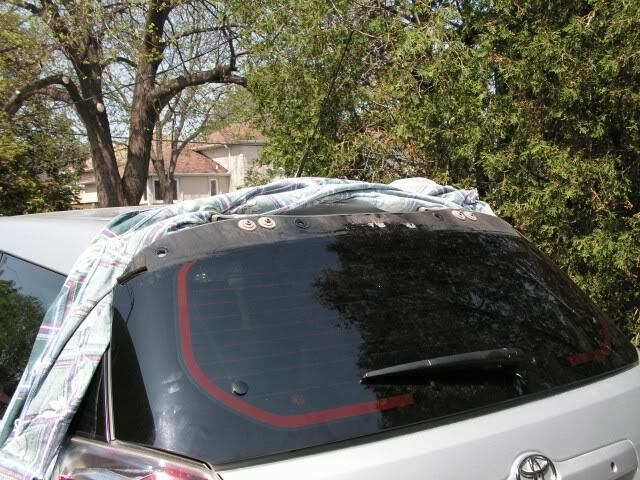 When ready, remove the protective tape and attach the new spoiler. 12. 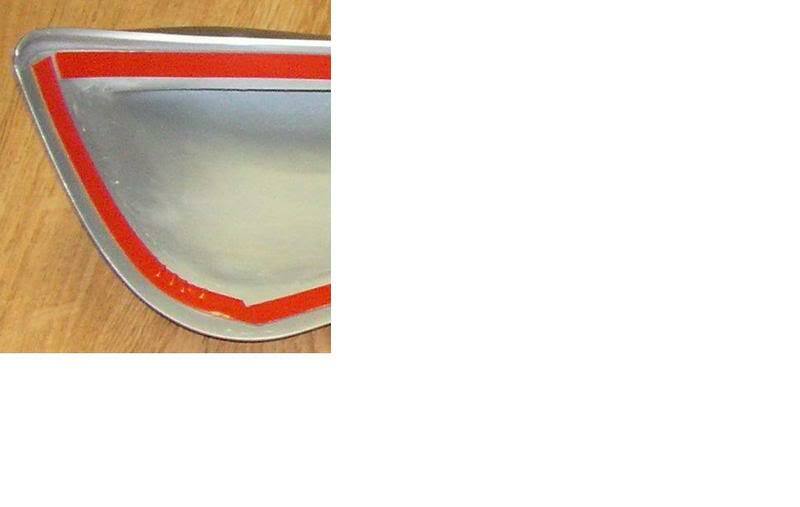 Using some of the remainder of the 3M tape, tape up center location (remember the ~5 inches) as shown below. 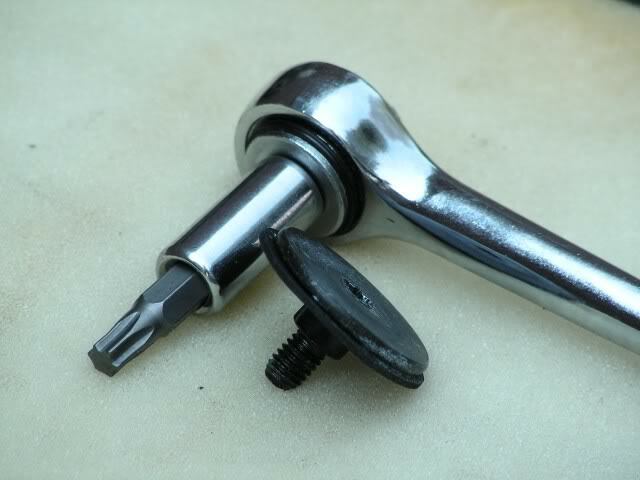 Re-insert the washer nozzle. 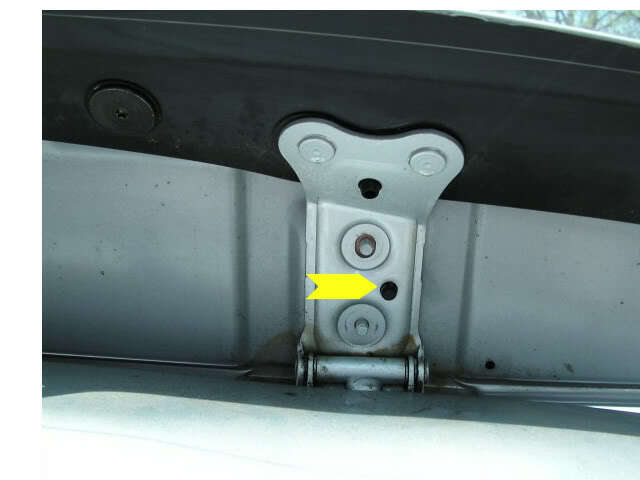 You can also choose to use the 2 screws provide to further secure your ATS spoiler to the old one. 13. 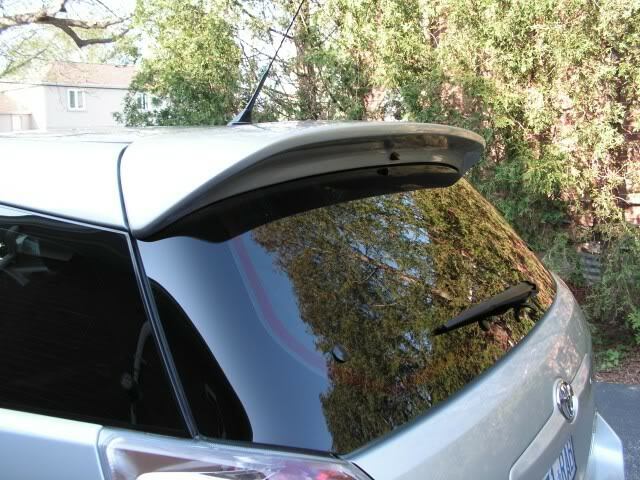 Place the spoiler back on car. 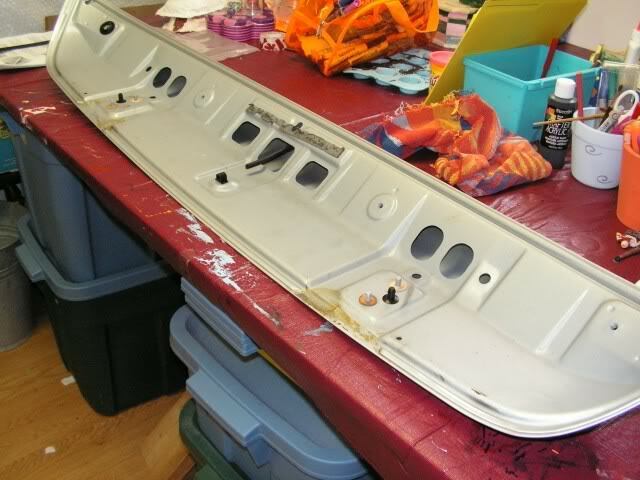 Remove the 3M center tape (~5 inch) and secure everything back on. 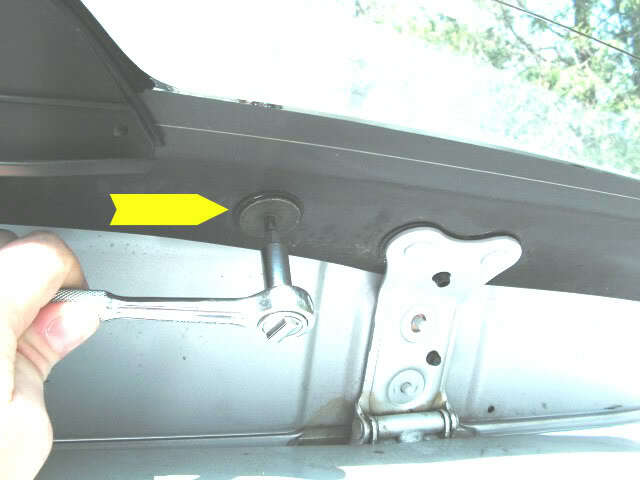 Do not tighten, the nuts and bolts, too much because you may break the glass. 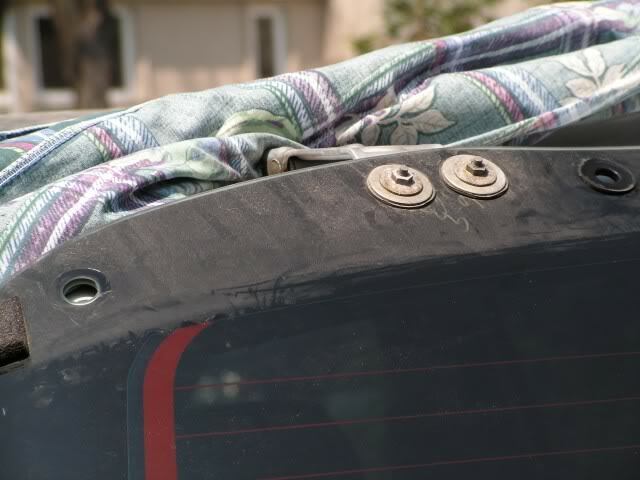 Start with the center bolts and then the outside ones. Your done…and so am I.